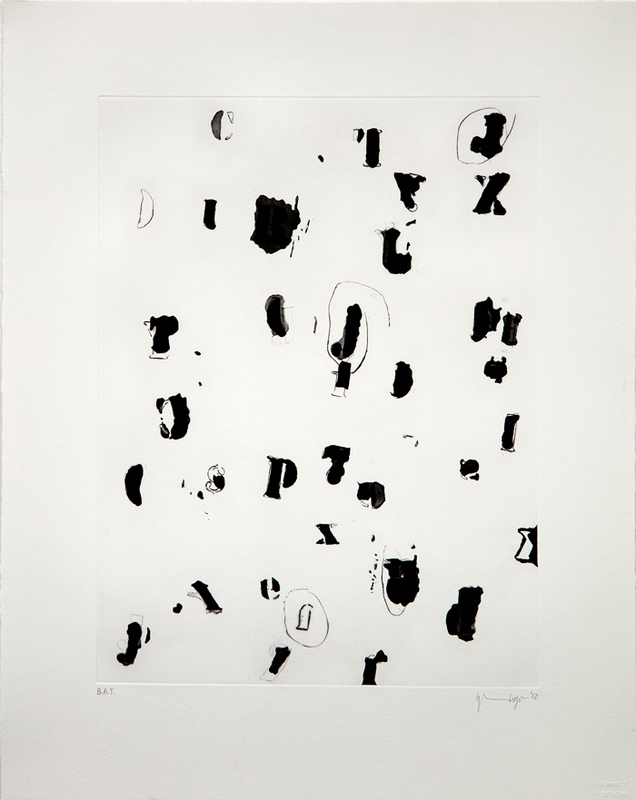 Brooklyn-based artist Glenn Ligon was a Walker artist-in-residence as part of an exciting initiative funded by the Pew Charitable Trusts-Artists and Communities at the Crossroads-which will introduced contemporary artists to Twin Cities communities. Ligon is one of today's most prolific artists. Through works that incorporate the historical with the present and the socially inflected with the aesthetically complex, he is an artist who resists easy categorization. He has drawn from sources as varied as Andy Warhol, Jasper Johns, Adrian Piper, and Richard Pryor, and from practices ranging from Conceptual, Pop, and Appropriation Art to Minimalism. 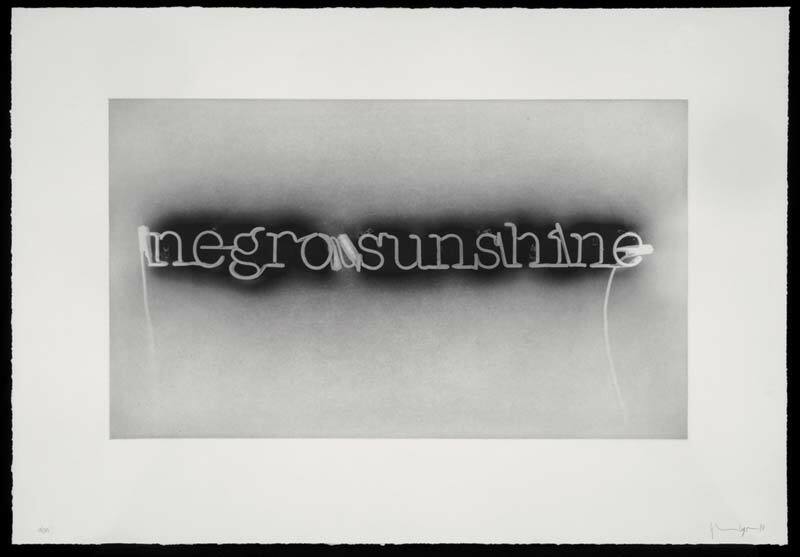 Best known as a painter who uses language as a device for both image and communication, Ligon addresses issues of identity and politics through quotations from culturally charged material. His word paintings excerpt evocative texts by writers such as James Baldwin, Ralph Ellison, and Zora Neale Hurston. He has said of his work that he wants to "make language into a physical thing, something that has real weight and force to it." The weight of language is further investigated in his print series such as Runaways and Narratives, which bring the racialized past into the present through Ligon's manipulations and updating of 19th-century runaway slave posters and slave narratives, respectively. Ligon has continued to work with found texts and images such as those from the 1995 Million Man March. He is also exploring the luminescence of black coal dust as a metaphorically charged material in paintings and drawings. In all his work, Ligon surveys America's cultural legacies and situates them in contemporary life. The Detroit Institute of Arts presented an installation by New York artist Glenn Ligon, who is widely recognized as one of the most thoughtful and accomplished young American artsts, and the installation, Glenn Ligon: To Disembark, is adapted from his 1994 solo exhibition at the Hirshhorn Museum and Sculpture Garden in Washington D.C. The installation explores the relationships between history, race and identity. The variety of media Ligon uses includes wooden packing crates, recalling the story of a slave who had himself shipped from Richmond, Virginia to freedom in Philadelphia in 1849; lithographs imitating 19th-century advertisements for the return of escaped slaves, each of which names and describes Ligon himself; and etchings, also referring to the artist, which mimic the frontispieces of 19th-century narratives in which former slaves recounted their lives under slavery and stories of their escapes. SOMETHING THAT HAS REAL WEIGHT AND FORCE TO IT."